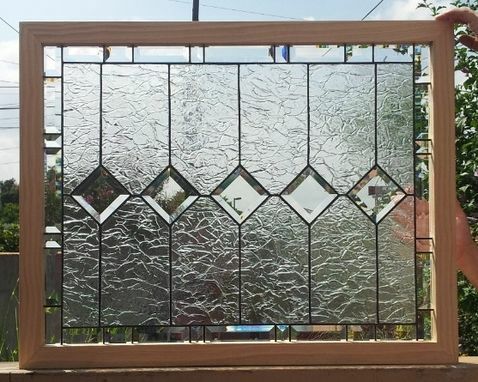 This simplistic but elegant window isn't only a beautiful piece, it also has the purpose of keeping the privacy of the place in which it will be installed. Size: 31 X 24 but, as always, can be made in any size. 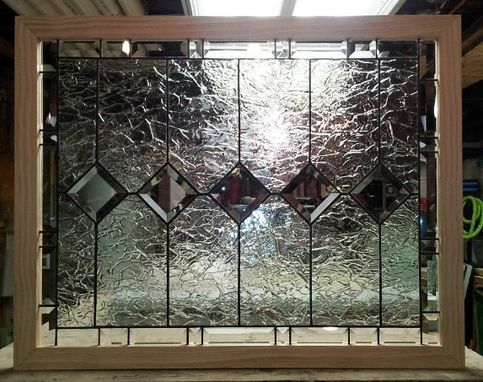 Glass: Clear bevel diamonds in the center and a bevel border. 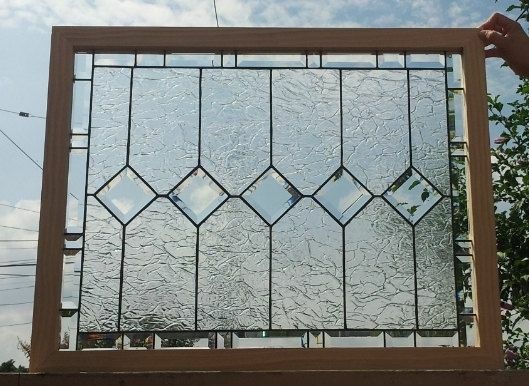 The rest is all heavily textured "Krinkle" Glass. 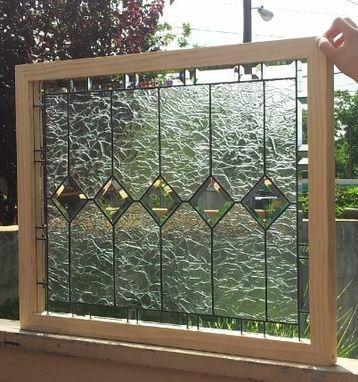 Frames: This piece includes a standard metal frame and a 1 1/2" Square Poplar frame as shown on the pictures. 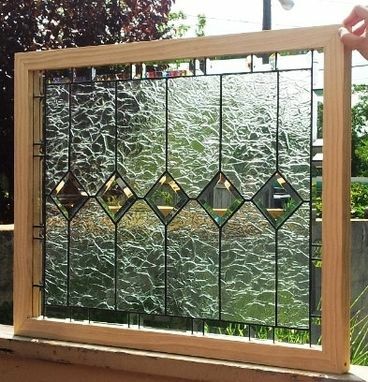 Note: Cost of the glass is $275 and the frame is $100 additional.